I have known people who thought the ultimate criticism was to have someone tell them that their manuscript was easy to read. And I have known commenters who snickered about their ‘cleverly designed insult’ when saying just that about a piece of work they were critiquing. The fact is, we have known for generations that easy reading is damn hard writing and easy writing is damn hard reading. This has never been more true than now. Who has time to look up words and dissect sentences, reading and rereading until the meaning of the paragraph marinates past our eyeballs and into our brains? The occasional web post on a blog is fine. An entire novel of time-consuming evaluation belongs to the retired and those studying complicated issues. For the masses, we want clarity and we want it now. This concept was never more true to me than during the past challenge for Nanowrimo. I tackled my first ever young adult novel. The only problem I encountered was trying to mimic the language of young adults. Would a twelve-year-old boy use the word sluice when describing the downpour of rain off of a roof? It has been a decade since my son was twelve, but I can remember the way he talked and the shrugging of shoulders accompanied by the slight upturn of his mouth when he was frustrated. These are the things that build a believable character. And once I am finished with the story, much editing will be involved. For now it is easier to write the way I am accustomed and worry about how it all sounds later. So how did I do during the November challenge? I nailed it. And it surprised me. I expected to have more issues than I did since I had never written anything for that age group. Except for the occasional bout of research – which annoyed me as I should have thought more about it during the planning phase – it went more smoothly than anything I have ever written before. I didn’t have the 26,000 word writer’s block – or the plot problem – or whatever it is that plagues me at that particular place in finishing a novel. But it isn’t finished either. It has turned out to be a more complicated story than I imagined and the flavors of melding two societies and tackling the issues of bullying and coming of age have led me on an inward journey. I validated the word count at 54,658. And it is only getting more interesting to me. So stay tuned. I plan to keep at it until the entire novel is laid out, because the one thing I have learned through the many years of my participation in this project is that keeping the novel in my head, keeps the characters in my mind. I don’t lose their anxieties, dramas, concerns, heartaches, joys, and frustrations the way I would if I put them all to bed and came back a month or even a week later. And I want to give a shout out to all of the participants in nanowrimo. It isn’t an easy challenge, especially during November, which I think is the point. If you made any inroad into a novel during one of the busiest months of the year, then imagine what you can do in February, March, May. Thank you for the encouragement you have given me too. Knowing that my readers were holding my feet to the fire gave me extra incentive to show up every morning and afternoon at the chair in front of my computer and slip off into the world of a young boy dealing with trauma. So, how about you? How did you spend November and if you joined the nanowrimo challenge, how did you do and what did you learn? Thanks Annie. It was hard work and I am proud of it. Glad you noticed. Congratulations! Getting through the NaNoWriMo is quite the challenge. Almost as tough as finding that 12 year old voice. You’re right about easy reading. I often get annoyed at what I consider to be “overwritten” prose. Sometimes those books I breeze through ARE the most memorable. …and the ones you WILL read. The others just become – as you say – annoying. Well said! The point of writing is communication through our words not to simply impress people with our vocabulary. Thanks for your addition to this discussion and for stopping by. Bravo! I think it’s wonderful you have taken on this annual challenge. You have probably learned worlds of practical experience in doing that. A YA novel is probably something you have first hand knowledge of through the eyes of your son. You are so right. I didn’t realize how much I picked up through him until I started writing about it. Thanks for the encoragement. Congratulations Renee! I’m not at all surprised you nailed this, because you are a very fine writer! This really shows how disciplined you are! Fantastic job! Wow, Linda. What a nice comment. Many heartfelt thanks to you! Congrats! A twelve-year old boy, huh? Wow. I would think that would be extremely tough. I remember my son at twelve; that was probably one of the most difficult mother/son times we had. Thankfully, we made it past that, and have never been closer than we are now. That is a tough time in their lives – skirting the edge of man/child. But it wouldn’t be worthy of being told in a novel if it was easy, right? Just needs to be easy to read and laced with enough fun to make the dark edges worth sitting through. Thanks. Congratulations, Renee! Wow! over 54,000 words, that is excellent. Thank you for commenting on my post about NaNoWriMo. I didn’t do as well as you but I enjoyed the process again. I didn’t succeed at reaching my word count goal for the first several years of trying. But as you say, it was an enjoyable process and I think we always learn something valuable about writing when we participate. I think you did great! And I bet you will knock it out of the park next year. Yeah, I loved that “nailed it.” Sounds like staying on a do-it-now track is the right one for you. My November? I barely got a few blogs out, but left much unreported, so I know NaNoWriMo isn’t timed right for me. Keep us informed of your progress. I’ll want to read it when it comes out, even as an OA! Lee, you do have a busy November. I loved seeing your quilt camp pictures. And now I need to finish the novel and then edit and rewrite and all of that fun. Yikes. But it was nice to challenge myself by going in a new direction. Congratulations on completing the challenge. Congratulations on finding a worth while project while completing the challenge. I look forward to hearing more as you continue to fine tune the story. I must also thank you for that Maya Angelou quote. She is someone I truly admire and this particular quote is golden. And isn’t it the truth? I know when I have read several pages of a book without even realizing it, that it is one that will not disappoint. The others I may not choose to read at all. And who can tell a story better than Dr. Angelou? She’s great! Hey, congratulations on meeting your challenge, and going beyond! Thanks Sheila. I appreciate your well wishes and confidence. I must either be a little brave or crazy – maybe both. Congratulations for hanging in there and working through the project. I couldn’t agree more that easy writing is hard writing. (and editing.) I am so thankful to my tech writing background which focused so heavily on the reader. Too many writers forget that they are writing for readers and instead think they are writing in order to dazzle other writers. It just ain’t so. Can’t wait to see what you end up with. I can’t imagine trying to get into the head of young adults well enough to write for/about them. Nicely put. And with your background, it means a lot to hear it from you. Thank you. Ha, rather poorly put, now that I reread what I wrote! “easy writing is hard writing”… I meant, of course, easy reading is hard writing…but I failed to read what I wrote. A deadly bad habit I slip into when leaving comments. Mea Culpa. I knew what you meant and I thought your point about writing to impress rather than to communicate with the reader was right on target. So often we ‘over write’ instead of keeping it simple. I’m sure you’ve seen your share of that. And to you as well! It is a nice feeling, isn’t it? Congratulations, Renee! I am so impressed by and proud of you! Well done. I thought about doing it this year. But November = Thanksgiving which is always at my house. It would take 5 days out. So I’ve decided to do my own, in February or March and just commit to writing something more than a short snarky blog piece. We’ll see! Thank you Elyse. I’m sure you will be successful at whatever you put your mind to. And with your experiences living abroad, I bet you have more than a few good stories to tell. Thanks Wendy. It feels awesome indeed. Nice going – it’ll be great when you can start sharing more about your novel! Thanks Meg. The writing is so fast and furious that it will take a little work to clean up, but I think it is pretty solid so far. We’ll see. Congrats Renee!! I hope you plan on making it available for all of us to read cause it sounds intriguing! Thank you Dianna. It still has to be finished and cleaned up a bit, but it would be nice to see in print – one day. That’s quite an accomplishment, Renee, and you have every right to be proud. I’m also sure that what you’ve done is about much more than quantity. From visiting this blog, I know how much you care about writing — and your readers. I look forward to reading your novel. That means a lot coming from you Charles. Thank you for your encouragement and kind words. Congrats Renee. I am so proud of you. Winning such a challenge for two consecutive years is no easy task for sure. And you did it once again. I read somewhere that createspace is sending few copies of their books to every winner of NaNoWriMo. Although I a not cent percent sure about this. Thank you Arindam. I’ll have to check into the createspace books. I’m glad you like the header too. It was taken in New York at Christmas a couple of years ago and I thought it perfect for this time of year. 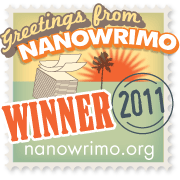 Congradulations on nanowritmo. Holy cow is that an accomplishment! It takes a lot to write that much in this time of year. And to do it so well! Again, congrats! Thank you, thank you. Yes it does take a lot. But this story seems to be writing itself. It has surprised me. I absolutely love what you did in November. Travel is the ultimate learning tool. Even if you are going to places you have been before, there is always something new and exciting to take away from the journey. Good for you! I totally agree with you about ‘easy reading being damn hard to write’. Oh would that I could write a manuscript with little struggle that would read with such ease. Thank you, thank you. I wanted to challenge myself to write something in a different genre and this story had been knocking around in my head waiting for its turn. I think of Ernest Hemingway as the writer who started changing our attitudes about writing with realistic language and keeping the sentences lean. I’m glad you got something from this post. It is close to my heart. You are an inspiration to me, Renee. Congrats to you! Thank you Darla, and right back at ya! No writing challenge for me … but I applaud your effort and success! Cheers! Oh, Karen, I am sure it is going to need lots of editing to keep the voice real, but that would be true in any case. Thanks. Wow, how fantastic! Congratulations. I look forward to hearing more about your characters and story. Write on! Thanks. It isn’t finished yet, but it is well on its way. I’ll keep you posted! You said it perfectly! The whole point of writing is communication, so I think we should save the ‘big’ words and complicated sentence structure for our college professors. The reader just wants a good story and with the tight schedules we all have, keeping it simple is best. Thanks Bella. I totally admire you, nailing Na No Wri Mo. I think that is an ENORMOUS achievement. I mean, look at how I go up & down with time and energy for my own HEART FELT project – & look what you’ve ACTUALLY DONE in a month. That’s marvellous. Congrats. And re being “Easy to read” hmm, no, I don’t think it’s a criticism. Being hard to read definitely is (I found JK Rowling’s work hard to read). Easy to read means you can communicate – you CAN communicate an idea, thought, emotion. That’s good! Thank you! It was nice to win again, but even participating is something to be proud of. Great post! Easy reading is damn hard writing! I love the Maya Angelou quote. It certainly did take several attempts before I found the right way for me to approach it. You’ll kill it next year. I’m glad it went so well. How exciting. Can’t wait for read the final product and if you are looking for any readers I would love to volunteer my services (I should note I’m not a professional). How shameless huh. And I’m 38 and I’ve never used the word sluice. Now I’m ashamed. Have a happy holiday! I think it is the rare person who uses the word sluice in everyday language. I probably won’t post the finished product here – too long – but having a volunteer to read it sounds wonderful! Congratulations! One of the priceless gift for any blogger this Holiday season. Your passion flows with so much inspiration in this post. Merry Christmas to you and your family. Thank you so kindly and Merry Christmas to you as well. This morning I Googled about being a writer who has been told her ‘work’ is easy to read. Honestly I was searching for someone to validate the fact that it was a compliment. I kept thinking… its like being 37 and being told you are ‘cute’. Who wants to be a grown woman and be cute? Just as who wants to be an Author and write ‘easy read’ material? 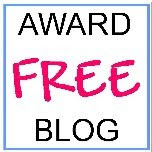 I want to thank you for this post because it appears that for some writing things that are easy for their readers to understand or easily follow is a complicated process. Im looking at this differently now… “You want the reader to be twenty pages in before she realizes she is reading.” I will hold onto this quote forever! And congrats on NaNoWriMo! I as well took this challenge and ‘nailed it’ for the first time in Nov 2012. And that is why we write. You have validated me as a writer by taking words that I combined and turning them into encouragement for your own path. I congratulate you. If people are able to find your words are ‘easy to read’ then you have connected and done a fine job of communicating your point. Bravo. And congratulations for your NaNoWriMo accomplishments as well. It’s not easy – that much is for sure! Congratulations on France, NaNoWriMo, writing an interesting blog and working for the USPS!